Help your horse shorten his stride, engage his core and tuck his hindquarters beneath him with two straightforward exercises using advice from dressage rider, Samantha Brown. This encourages your horse to tighten up his muscles and put more weight into his hindquarters. 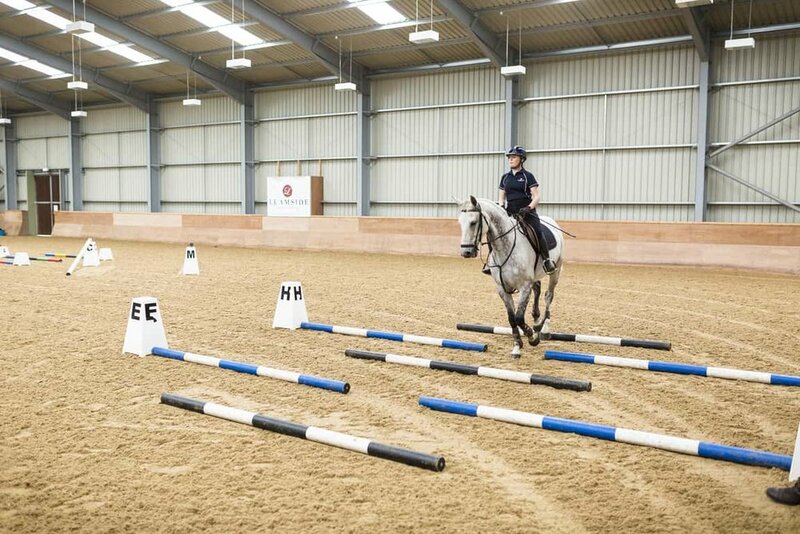 SET IT UP: You'll need seven poles, with three canter poles in the centre (three strides apart). Around this will be two more pairs of canter poles (three strides apart), one on the left, the other one the right, creating a narrow channel through the middle. a) Start with all of the poles flat on the ground and get your horse going in a bouncy canter. b) Aim for the centre of the poles, keeping an even seat. If your horse rushes, lift your hands slightly to give you the strength to steady him. c) Look straight ahead and push your horse through the narrow channel. Don't worry if he knocks the poles the first time round, it'll make him think next time. Complete this exercise by raising the ends of the outside poles by about 2ft to give your horse the illusion that the channel is becoming narrower. Raise the ends of the outside poles by about 2ft to give your horse the illusion that the channel is becoming narrower. This encourages him to use his core and tuck his pelvis beneath him as he canters through the centre, so you'll really notice his canter stride shorten. If your horse is really excelling, you can bring the outer poles closer towards the centre, but only do this when you feel he's ready.